Äntligen, tredje gången gillt. Idag blev det äntligen en pecannötpaj, och den var helt klart värd all väntan. Serveras med fördel med en god gräddglass, eller vispad grädde. Finally, third time lucky. 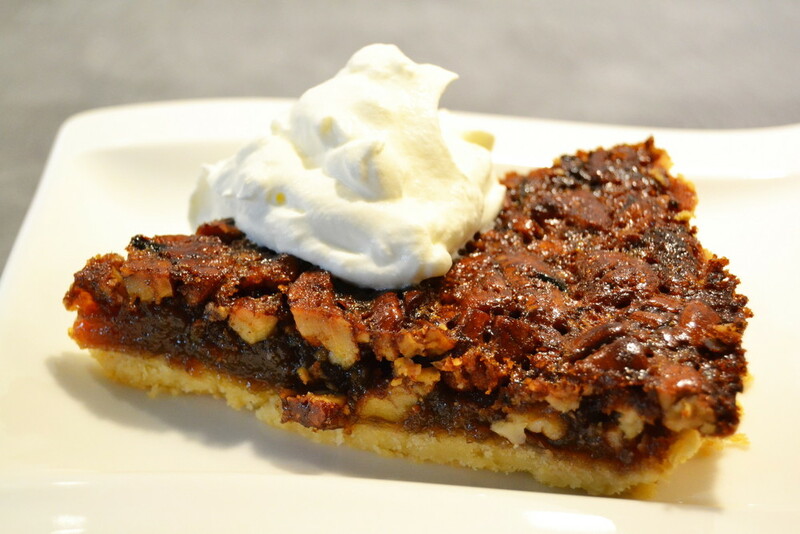 Today I finally made a pecan pie, and it was definitely worth the wait. Measure the flour into a bowl, dice the butter, and stir in the water and salt. In the meantime, do the filling. Measure the butter in a saucepan, pour in the syrup of sugar flour, salt and let it boil up. Simmer stirring for two to three minutes. Then remove the pan from the heat and stir in the chopped nuts and the lightly beaten eggs, vanilla sugar in caramel sauce. And then pour over the filling into the pre-baked shell – and place in the oven at 175 degrees for about 35- 40 minnuter. When the pie is baked, put the cold in the refrigerator and let it cool before serving. And served with the advantage of a good ice cream or whipped cream. åh, den ä så himla god! Sv: Tack, för dina fina ord. Det får en lite mer motiverad att fortsätta sin utveckling och kamp! 😀 Kram!